Our doors carry the approval of ENERGY STAR, the standard in energy efficiency. Tested and certified independently, our doors score highly for rate of heat transfer, energy rating and air tightness. From guillotine door to garden doors, our choices allow you a variety of arrangements. Its counterweight system is easy to operate with minimal effort for better, safer control, and its wide selection of decorative options are sure to please you. 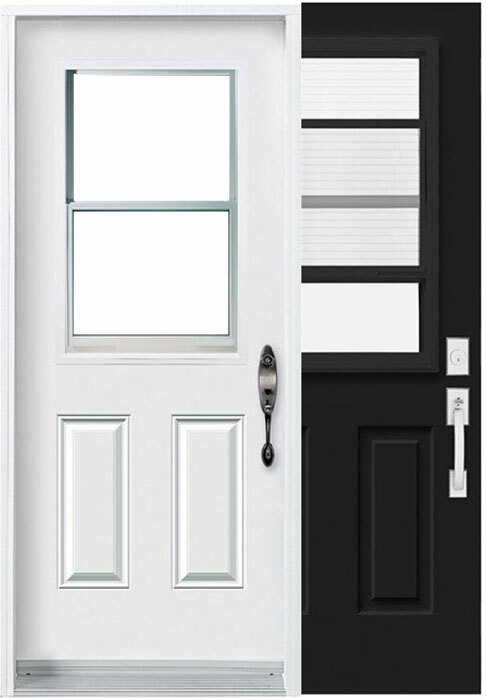 The perfect choice for white or black and white doors.